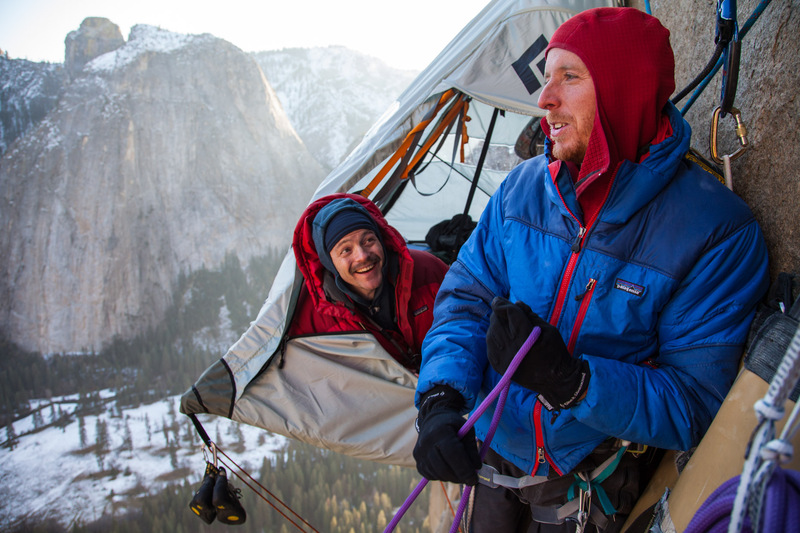 tommy caldwell and kelly cordes ponder the free climbing possibilities on the dawn wall of el cap. Tommy was about 2 weeks into his fall 2011 effort at this point and becca had gone down as kelly was coming up. it was a family affair in the meadow with tc's parents using a spotting scope to track his progress.